WEST CALDWELL, NJ, February 21, 2019-Ricoh Imaging Americas Corporation today announced the RICOH WG-6, a compact, waterproof and shockproof digital camera that produces super high-resolution photos and 4K video. Equipped with a 5x optical zoom lens with 28mm wide-angle coverage and a large, wide-frame LCD monitor, the new, top-of-the-line model in the rugged WG series makes it easy to capture a range of images – from eye-catching close-ups to sweeping landscapes – in the most extreme conditions. A six-LED ring light unit positioned around the lens allows use of a faster shutter speed to minimize camera shake and subject shake in macro and close-up photography. This feature also allows the photographer to choose specific LEDs to illuminate a subject more three-dimensionally and emphasize its delicate contours. Ricoh Imaging Americas Corporation is a subsidiary of Ricoh Company Ltd., a global technology company specializing in office imaging equipment, production print solutions, document management systems and IT services. Headquartered in Tokyo, Ricoh Company Ltd. Is part of Ricoh Group, which operates in about 200 countries and regions. The company operating now as Ricoh Company Ltd. was originally founded in 1919, under the name Asahi Optical Joint Stock Co. and launched its first SLR camera in the 1950s under the PENTAX name. 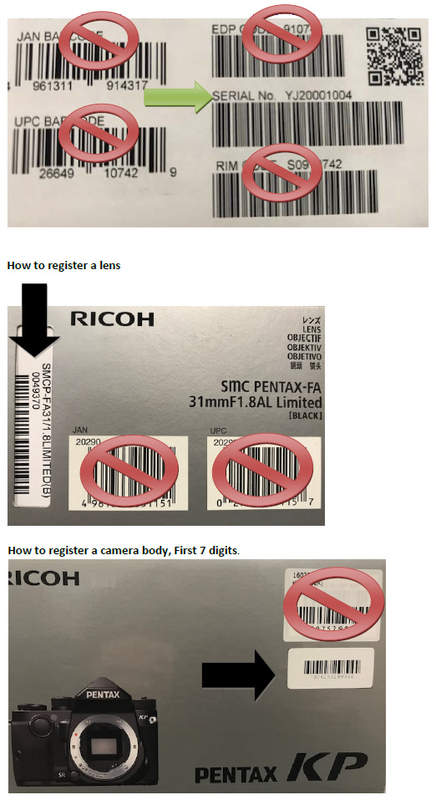 Today, the company continues to produce the heritage-rich, award-winning line of PENTAX DSLR cameras, lenses and sport optics equipment as well as Ricoh’s offering of stylish and compact digital cameras, known for their wide-ranging, rich set of features. The WG-6’s solid, airtight body is not only waterproof to a depth of 20 meters — the deepest in the history of the WG series — and for up to two hours of continuous operation (equivalent to IPX8 or JIS Class 8), but it’s also shockproof against a fall from heights of up to 2.1 meters,* dustproof (equivalent to IPX6 or JIS Class 6), cold-resistant to temperatures as low as -10°C, and crushproof against weights of up to 100kgf (kilogram force). ** Thanks to this heavy-duty construction, the WG-6 performs superbly and dependably in harsh, demanding outdoor conditions. * Measured using RICOH IMAGING-original testing standards — from a height of 2.1 meters, onto a surface of 5cm-thick plywood — conforming to Method 516-5-Shock of the LIK-Standard 810F. The WG-6 provides 4K-resolution movie recording in the H.264 format, allowing the user to capture high-quality, extended movie clips (3840 x 2160 pixels, 30 frame rate). In addition to the conventional Movie SR (Shake Reduction) mode,* it also features a new Movie SR+ mode,* which generates a shake-reduction effect similar to the one created by a gimbal unit to assure high-quality movie shooting with more active, fast-action outdoor activities. * When one of these modes is activated, the angle of view becomes narrower. The Movie SR+ mode can be used at a recorded pixel size smaller than the Full HD format (1920x1080 pixels). Thanks to its five-times optical zoom lens with an angle-of-view coverage from 5mm to 25mm (equivalent to approximately 28mm to 140mm in the 35mm format) and a minimum focusing distance of a mere one centimeter, the WG-6 covers a wide range of applications, from eye-catching close-ups to sweeping landscapes. Its Intelligent Zoom function extends the zoom range by approximately 40.5 times without compromising image quality, while its Interval Shooting mode makes fixed-point photography simple and effortless. The WG-6 has a built-in GPS module, which automatically records position data and travel log data onto captured images and adjusts the built-in clock to local time. This module can be activated with a single action, and can receive signals from Japan’s quasi-zenith satellite system Michibiki and Russia’s GLONASS (global navigation satellite system), in addition to U.S. GPS satellites. By linking it with the SBAS (satellite-based augmentation system), the user can even record more accurate position data at various locations and times. When shooting indoors, the GPS Lock function allows the user to record GPS data onto captured images by using previously acquired position data. This silicon protector jacket not only protects the camera from dirt and scratches, but also improves grip on the camera and enhances holding comfort. This holder-type camera case comes with a belt loop on the back and allows for quick removal of the camera during snapshot photography.